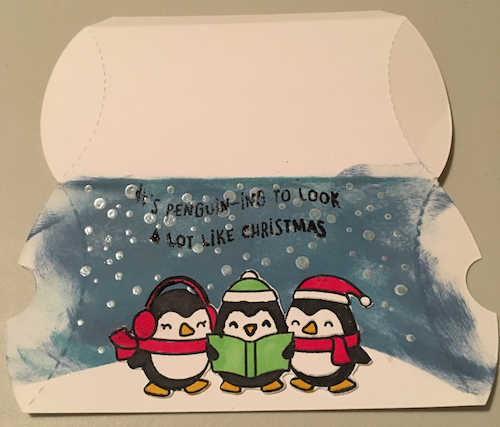 Design by Lix: Penguin-ing to look like a gift card holder! aw!!! SO cute!! LOVE this pillow box gift card holder!! 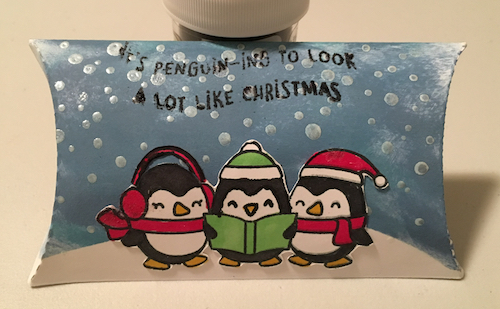 and those penguins are seriously so cute! Thank you SO much for playing along with the Lawn Fawnatics Challenge! Totally adorable! So glad you joined us for our Clever Gift Packaging challenge at Lawn Fawnatics!